Photo courtesy of NorthShore Days. This is an easy to make beaded project that your campers will enjoy making. 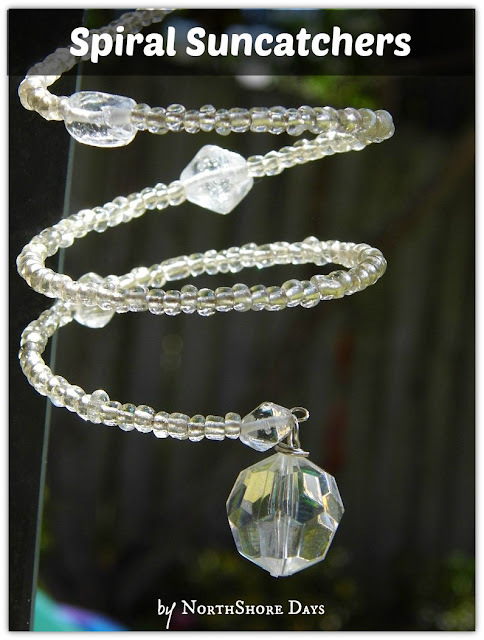 Check out Natalie and her tutorial to make these pretty Spiral Suncatchers.